‘But is it delicious?’ It’s a motto that should be on the wall of every self-respecting chef. However, in a world where cameras can have a better meal than those using them, it’s never been a more valid question. But for Cavalier Espresso’s Harry Kolotas? It’s a motto he lives by every single day, in every single dish he creates. 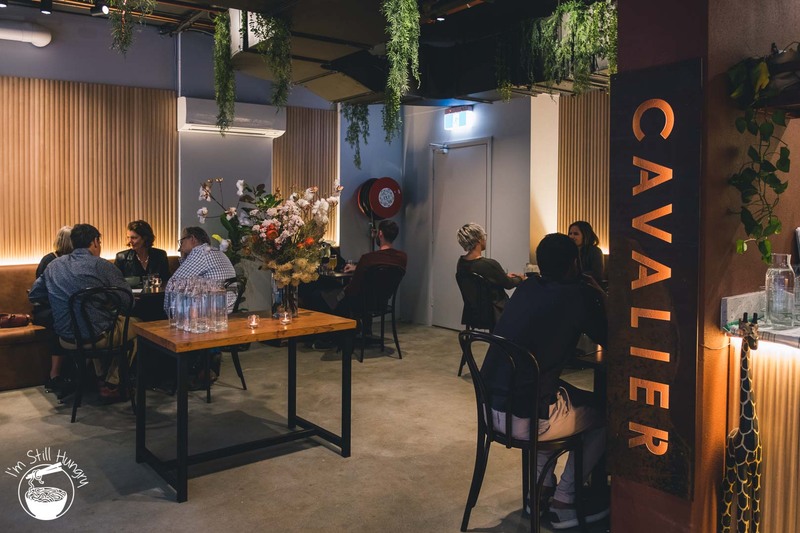 That already elevates Cavalier above many ‘me-too’, Instagram-friendly experiences, but the extent is something else: when the cafe was first founded in 2014, it instantly became my favourite in Sydney – a position it continues to hold to this day. The reasons are multifaceted: partly to do with a certain ‘sameness’ (or more cynically – staleness) in cafe food, as well as Harry’s fine dining background: you certainly won’t be getting avo on toast with that kind of a background. But serving food in a cafe setting has its restrictions. Your creativity is limited – by time, money, expectations. And so now, in what is almost a poetic return to a halcyon past, the fine dining has come again, but in a most cavalier way: by invitation only. While my blog post on Cavalier is dated, my social media audience know the extent to which I hold it in esteem. Countless visits have continually satisfied the stratospherically high bar Cavalier has set for cafe food in Sydney. It’s not the sort of place you go to ‘tick it off’ once; the menu, other than some key dishes never remains static. There is always something new, something interesting. That the man himself continues to toil away in the kitchen – without diluting his energies with other ventures – keeps the quality high. So, about that ‘dinner’ thing I was harping on about. Well, you already know about Cavalier’s fine dining breakfast approach: take this and dinner-fy it: increase prices, increase quality, and increase the value of the experience beyond a 1hr jaffle & coffee break. And then, sprinkle in some exclusivity by only allowing hopefuls that have an express invitation to partake in the experience. A few words on the ‘invitation-only’ (or ‘introduction-only’) concept. It’s not normal. If you’re in a hospitality business, an inescapable part of the equation is profit, and being deliberately exclusionary isn’t exactly conducive to that end. However, it’s common in Asian countries – particularly Japan. I’ve touched on this briefly before – but the central idea is to build rapport with a customer base that understands your objectives, your mission and your approach to food – not gastro-tourists that will do a hit and run and then disappear off the fumes of their next flight. Of course, the system is by definition artificial scarcity, and so ‘exclusivity’ is an inevitable result – whether or not it was initially desired. For Harry, I don’t think it’s necessarily about being exclusive for exclusivity’s sake – it’s about taking the time to get things right. I do not know of a single cafe that offers dinner to have kept at it, why ruin a good thing? And so, after already several months of invitation-only dinners – and thus I suspect, some serious polishing done to date – we finally received our golden tickets. The cost? $85 for 8 courses. I’ll leave the value judgement to you; suffice to say, I’d be happy to pay more. 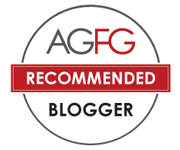 The cuisine – as expected – can’t be shoehorned into that of any particular culture or country. French, Italian, and Korean techniques all feature, and I don’t think I’m spoiling it to say that it worked almost every time. Visiting at night is a substantively different experience. The middle tables are removed, replaced with a central island serving bench. 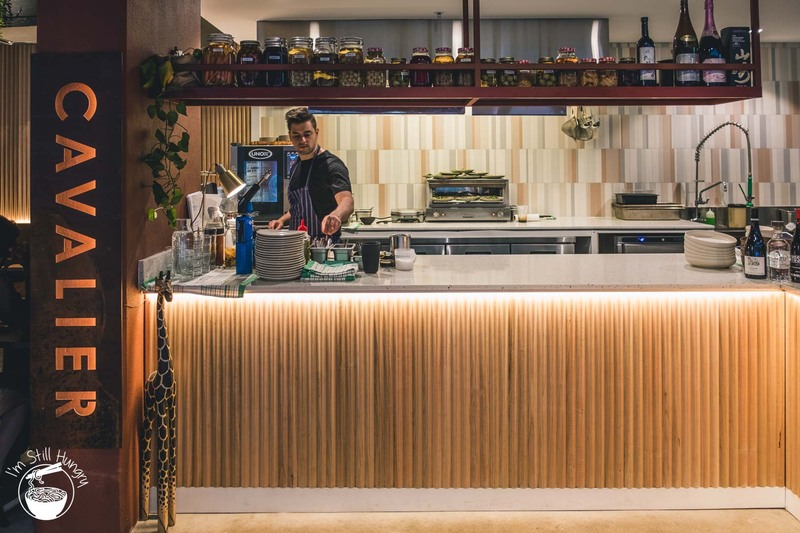 The space is smarter, less cramped, much moodier and diners – only 14 of us – have plenty of space to ensconce themselves in for the next 3.5 hours. Oh yeah, about that. For an 8-course meal, it’s around 30-45min too long for me. 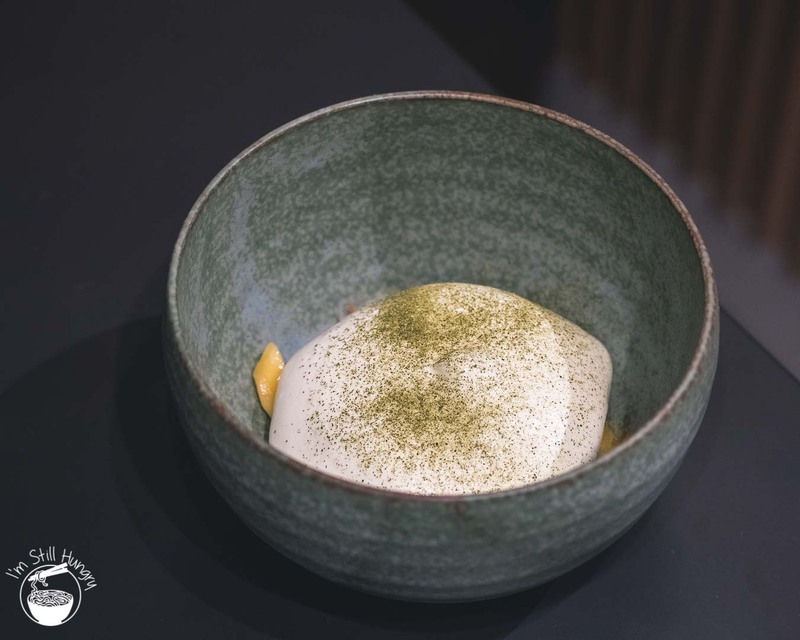 About 3/4 of the courses are delivered with excellent pacing, while the remaining quarter – the main, and desserts, took closer to 30min apiece. Now, given that Harry is the only chef in the kitchen, this a terrific pace. However, an extra kitchen hand to handle the more menial aspects would go a long way to keep the flow going – assuming the economics of this can be worked out. There are two floor staff, – one of which is Sara Kolotas, Harry’s wife – who were sufficient to handle the private dinner-esque crowd of 14. Expect service more akin to being invited to an acquaintance’s dinner party: warm, effusive but without blurring the bounds of professional service and friendship. 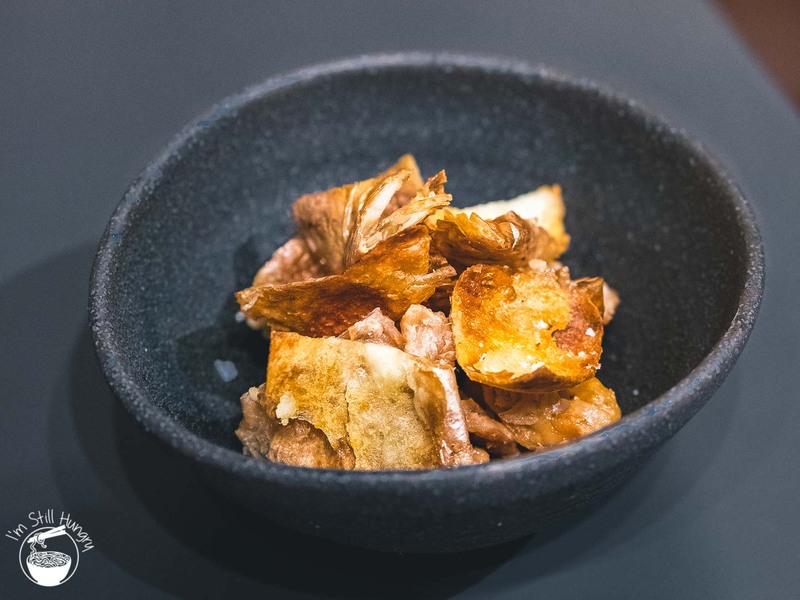 The dinner started with an appetite-inducing snack of crispy chicken scratchings and moreish potato skins, flavoured with vinegar. Simple, yet unexpected. As usual, I evaluate snack courses by way of how angry I’m made to feel that I can’t get any more: notwithstanding some unevenness where pieces closer to the bottom got more vinegar than those at the top, pretty angry. The first proper course of walnut ice cream & caviar immediately showed that Harry isn’t screwing around. 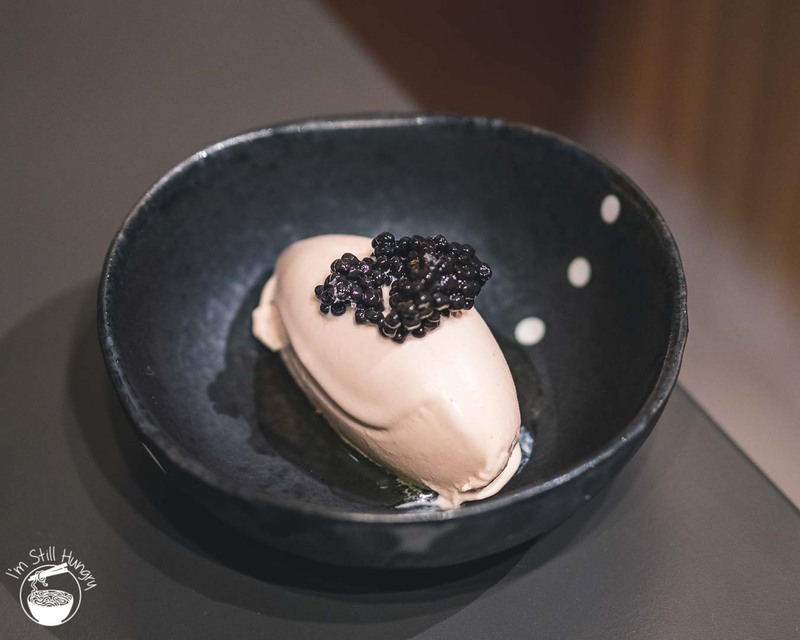 This was a ridiculously good beginning: a perfectly-quenelled spoonful of ice cream with a mouth-filling walnut presence, the caviar wasn’t even necessary (though it certainly provided some much-needed colour contrast). The two most common issues people find with ice creams is either that they’re not creamy (too icy, etc. ), or that they don’t contain enough of their headline flavour. Neither apply here. 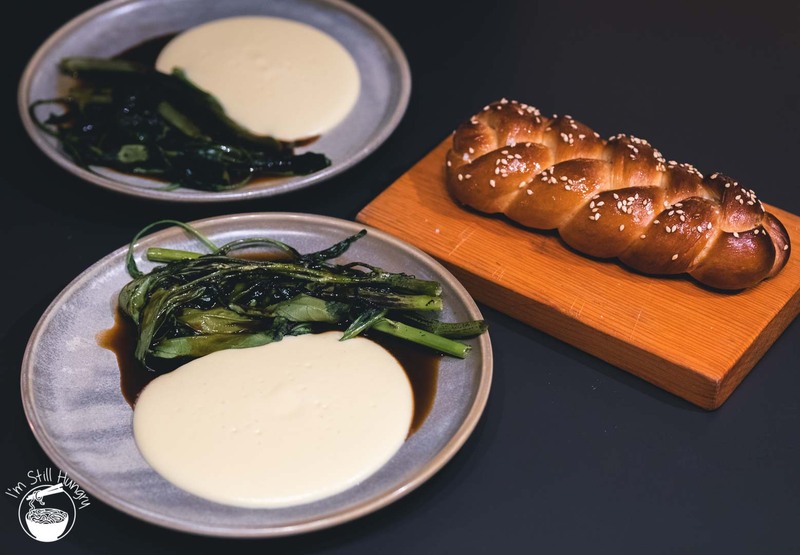 The next dish arrived in two parts; first: challah bread, house-baked(!) in chicken fat(!! ); second: charred water spinach with savoury parsnip and black onyx sauce. Use the former to mop up the latter. 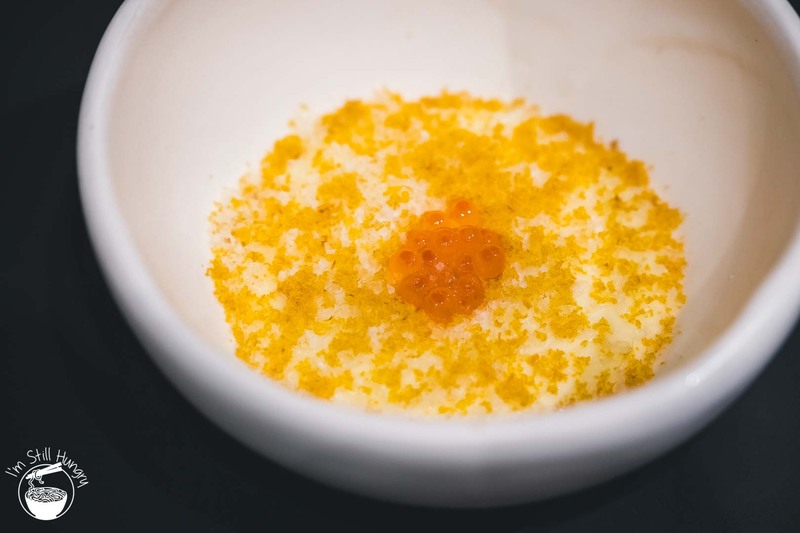 This can be thought of as an amped-up bread and butter course, and boy it delivered. 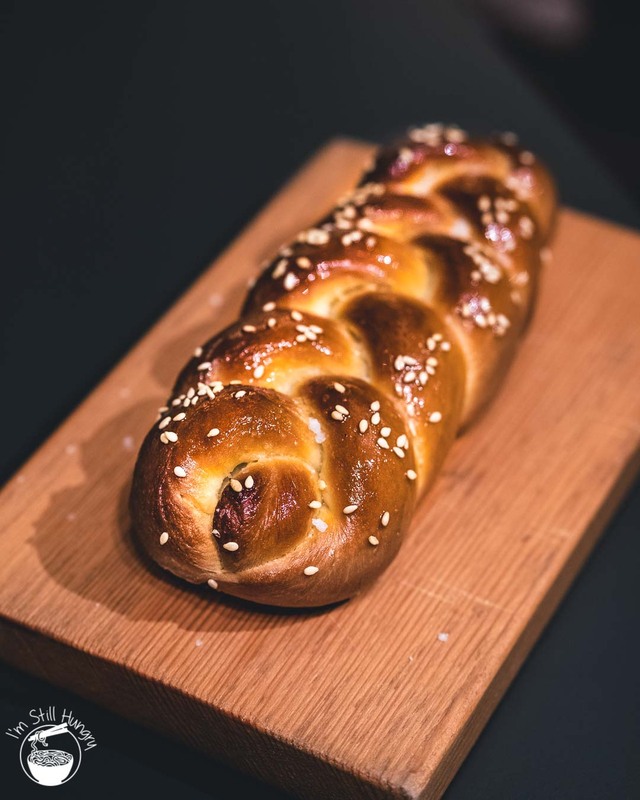 The challah – a Jewish equivalent of doughy, sweet & savoury brioche – should be sold as a standalone item. The duo of sauces is unconventional, and serving of water spinach even more so, yet somehow we didn’t really care too much about. We just lapped it all up. It was all just so moreish – and there wasn’t even any meat! The only downside is that the dark sauce – akin to a beef tare – was quite salty, and had to be eaten in conjunction with everything else. As if almost anticipating the need to reset the palate, a series of refreshing snacks heads up the next course. 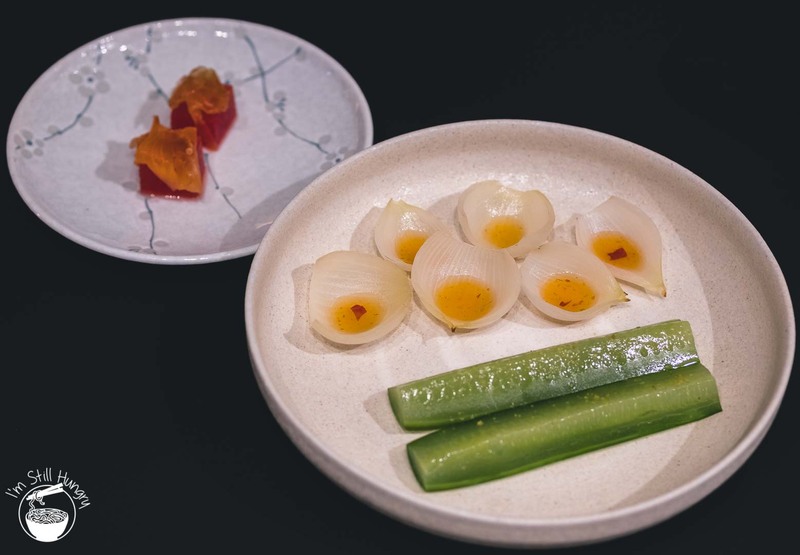 Those who’ve followed Cavalier for some time know that Harry’s got a thing or two for fermentation and preservation techniques: it’s no surprise then that my favourite here was the onion with house-fermented chilli. It’s difficult to describe: at once so familiar yet different, richer, quirkier. I would buy it if he sold it. I’m less enamoured of the cured salmon w/compressed watermelon. It’s not because it’s a ‘weird’ combination per se (it’s a thing), but more that it’s not my thing. The mild flavours of the salmon ‘jerky’ (it wasn’t particularly smoky or salty) was a fishy flop for me. 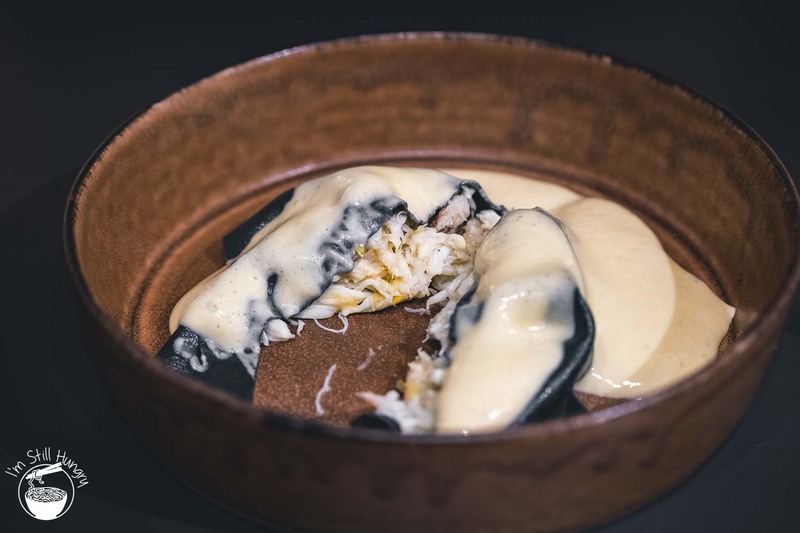 Squid ink pasta, with freshly-picked swimmer crab and an acutely flavourful aerated brown butter made a direct beeline for the best pasta dish I’ve had this year. Yes, that includes that of one of my restaurants in Sydney. It’s elegance on a plate: entirely low-key in presentation, but full of technique. It’s the kind of dish that anyone would think ‘yeah, I could probably make that’, and then utterly fail at doing so. We would know: a few days later, we tried to. It was that inspired. Calling this dish the best of the night is like picking a favourite child: they’re all so lovely, yet we all must have one – this is exactly that. A moreish bowl of smoked potato was so creamy, I didn’t want to think about how much butter Harry must have put in there. Of course it never matters: the bowl was short of being licked clean. However, this dish could be notably improved: a non-trivial reduction of salt. 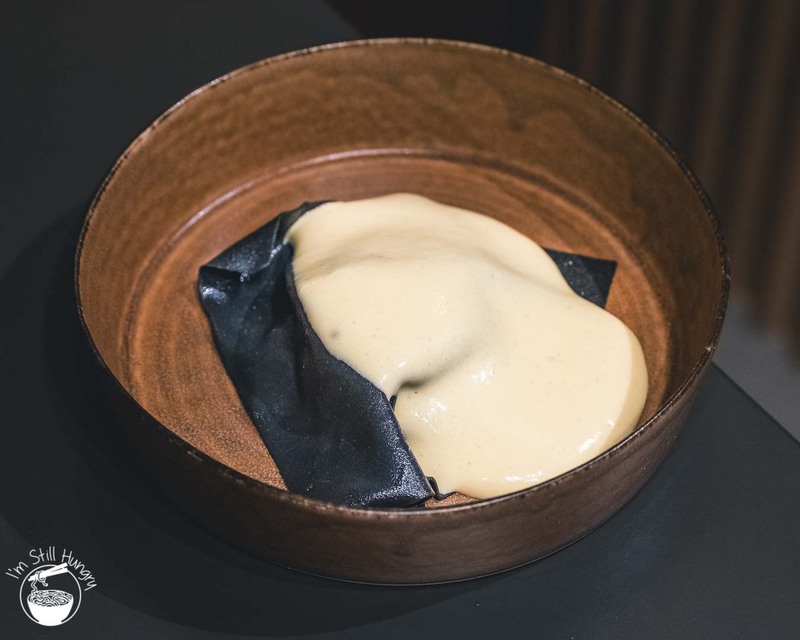 Unlike the dark sauce in the earlier bread course, there’s nothing to foil against the salinity of the potato mash, which made for a particularly parch-inducing course. ‘This is my baby’, Harry says shortly after we’re handed our last savoury. He’s not talking about the monkfish, but the kimchi. Fermented for 8 months, the analogy would have been complete if he had gone just one extra month. 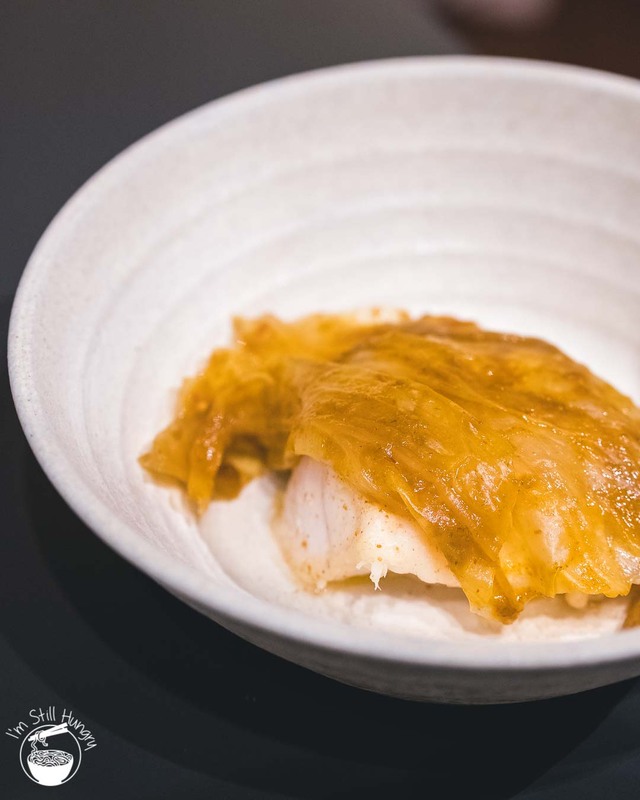 For me, this dish was not about the (relatively bland) monkfish at all: it was a vehicle purpose-served for the kimchi. Like what he’s done with the earlier fermented chilli, this was an indescribable ‘same same, but different’. ‘It’s definitely not traditional’, he says, and it’s true: this is a cabbage kimchi, as opposed to wombok. There’s also a noticeable lack of garlic that’s so redolent in any Korean kimchi. Once again, if he sold this stuff, it won’t be cheap. And I’d lap it up all the same. 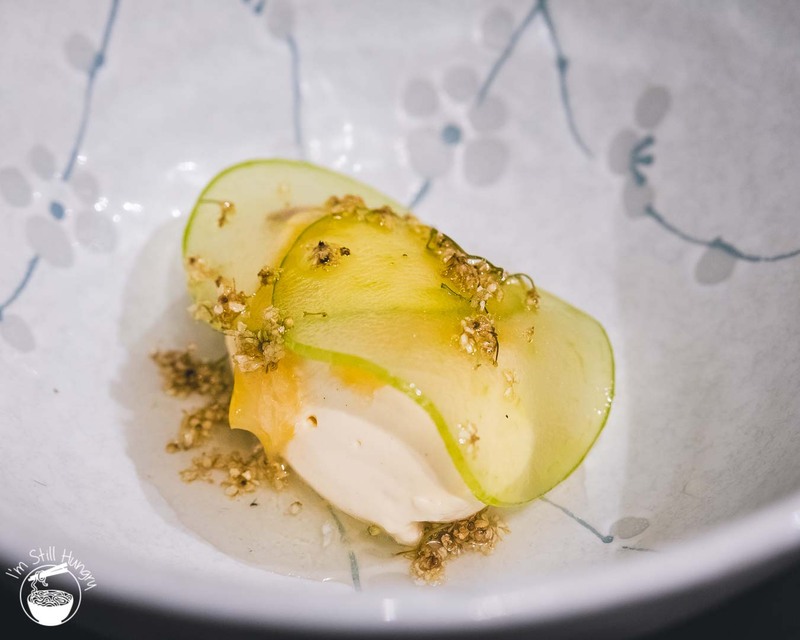 A cashew cream, playing down the acidity of the kimchi, completed the dish. It should be no surprise that Cavalier’s desserts achieve at the level of the savouries. At this point, I’m already convinced that Harry can make a damn good ice cream and the ricotta ice cream is no exception. While it would have sufficed by itself, the addition of elderflower and green apple introduced crispness and flowery notes that was Goldilocks nice, without being overbearing. The second dessert was…interesting. Banana mousse is an absolute go – continuing the unbroken trend of strong flavour infusions that’s a Cavalier hallmark. However, I remain a little unconvinced with ‘grilled mango’. To me, it was a mango. A fresh, sweet and delicious one – but a mango nonetheless and not much more. The mousse and tart kaffir lime zest were the memorable aspects. Other than the ingredients, I took no notes of my experience of my invite-only experience: I knew I didn’t need to. There are two or three restaurants I can think of that do what he does, but none in the same way: this is decidedly Harry’s own gig. 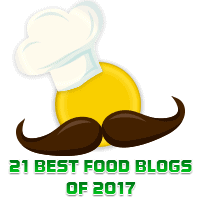 Almost every dish was memorable, unique, and cannot be substituted. It’s really a question of if he ever opens the show to the public. For now, if you want in, you’d better start crafting your cover letter. And maybe give Cavalier’s IG a follow – no guarantees though! 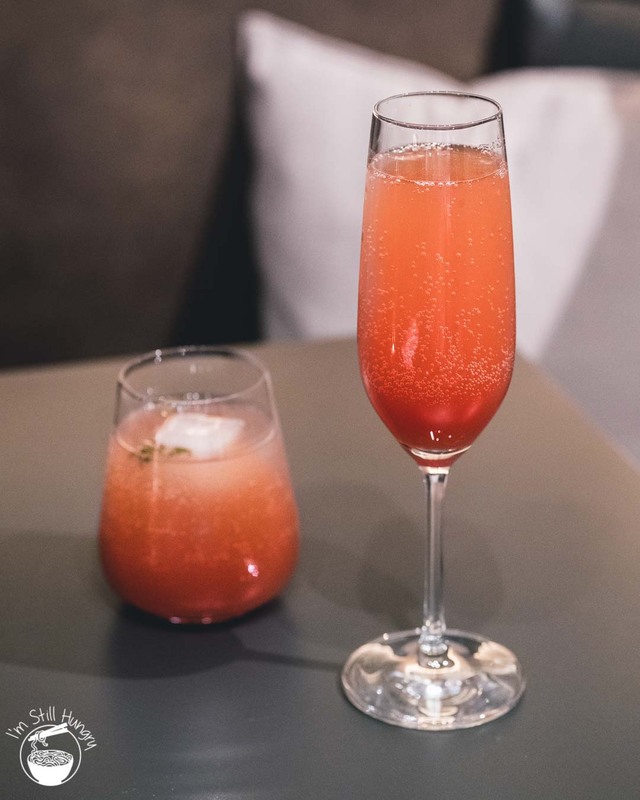 This post is based on an independently-paid visit to Cavalier at night. Obviously, I had to be ‘invited’ in order to dine as a customer. Every dish asks – and positively answers – the question: is it delicious?